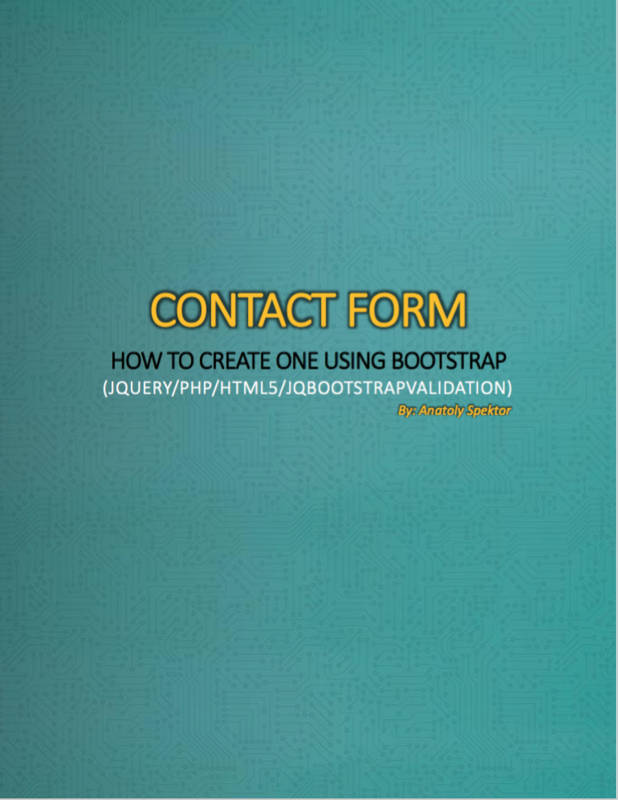 How to create a contact form with Bootstrap ? Today we will talk about such essential feature for any website as contact form. Recently, while working on one of the projects, I had a pleasure combining couple of very nice tools (Bootstrap 3 + JQuery + jqBootstrapValidation), which resulted in minimalistic , but powerful contact form, that would be a good addition to any website. In this post I will walk you through the process of developing this form. Also if you just want to put it in your website, just pulled from my github repo and have fun. As you might see – nothing special. I would love if somebody else would provide me this solution yesterday, when I was working on my project – this could save me some time! So all you need to do is just download necessary files and put them in. Let’s move to the UI part. For the UI we will use Bootstrap 3 and some attributes from jqBootstrapValidation.js . I won’t cover Bootstrap 3 components as it will take far too long, but if something is unclear, please shoot me an email and I will clarify that for you. So in the root of our website we need to create file form.html . If you are familiar with Bootstrap – this code is pretty straightforward. Since we are using jqBootstrapValidation, we need to put novalidate attribute into our form tag, otherwise HTML5 validation will clip jqBootstrapValidation validation. data-validation-* classes are used to specify custom message when user does something incorrectly. You can find more about those here. jqBootstrapValidation library looks at input and textarea tags and automatically puts validation if needed. For example if there is a “required” attribute, it automatically will put error message if the field is empty. That’s all I can think of, if you have additional questions, please send me an email, or ask me in the comments below the post. So now we have finished the design of our form. Next step is to activate jqBootstrapValidation library, pass users data to PHP, which will send an email and finally show something to the user. 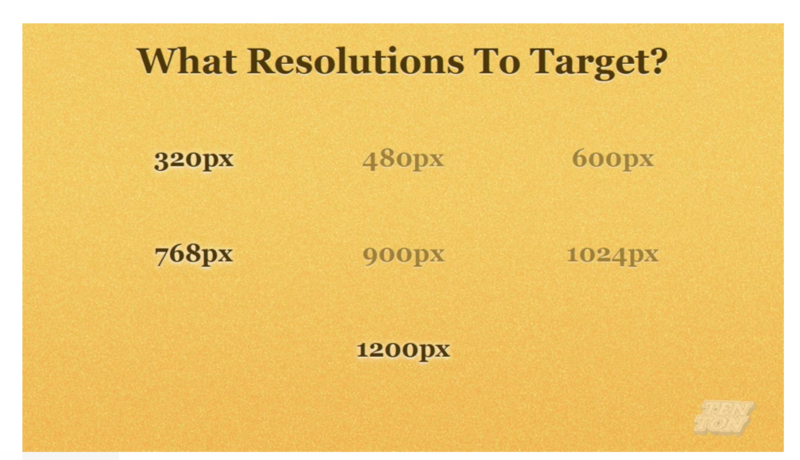 Most of these is done in one tiny JQuery function. For the most part I have took the function from jqBootstrapValidation examples. However, there are couple of things particularly interesting to us. jqBootstrapValidation allows to overwrite submit on success behaviour, which I am doing in this case. If user submits everything without errors – I do a POST request to the file bin/contat_me.php with name, email and message. File contact_me.php, which we will code in the next section, sends me an email with everything that user filled in. Also, I check If I am able to connect to this file, in this case I send back “Message sent successfully” to the user, otherwise I give an error telling user to email me directly ( use cases: for example if mail server is down, if validation on server side failed, if permissions to php file are incorrect etc) . There is not much to add, but if you have any questions regarding this function do not hesitate to ask. Finally, we got to the last piece of this puzzle. I have a php file that does some validation on the data received from form and sends me an email. $email_body = "You have received a new message. nn".
" Here are the details:n nName: $name n ". As you might see my PHP file is even more simple. Of course you can add extra validation on top of it. For my use case I am just checking if fields are not empty and if email has correct format. If everything is correct, I create an email and use PHP’s mail function to email it. You can find all these files here. I hope this function will be useful for you! Where to host your Contact form ? I have been asked by couple of you where to host this contact form. There are many good hosting providers, and I will certainly create a separate post comparing some of them, however if you are looking for something cheap (like $4 cheap ) quick and easy to use and setup – Bluehost is the way to go. A: 1. Go to line 26 of the contact_me.js file you have. There you’ll see the url for contact_me.php. Make sure that url is correct. I think by default it is pointing to a folder called bin. 2. If you try it from your desktop it won’t work as it doesn’t have a php server/client installed. Whenever I try to send a test email it says my mail-server isn’t responding. What does that exactly mean? Thanks for this wonderful tutorial. I am a new web developper. I am trying to run this example on my Desktop but it’s not working. I have got XAMP server installed ùn my pc ! I am getting this error ” it seems that my mail server is not responding… Could you please email me directly to….”” Can u please help. Thanks. I don’t know if you’ve fixed it yet, but I had a problem with the mail server as well. I fixed the issue by making sure the correct path was entered on line 26 of the contact_me.js file. Hope this helps if you haven’t got it already. I’ve tried many, none working – New to this – helped a lot, thanks for the great post!! for this error you need to upload these code on server not local then it work very well. Good call! Thanks for replying Anup! Tiago, go to line 26 of the contact_me.js file you have. There you’ll see the url for contact_me.php. Make sure that url is correct. I think by default it is pointing to a folder called bin. You can see that I have a working example on my site. http://www.coreymrussell.com. Click the contact link and you can see that it works. in the text area “Message”, the placeholder is not shown, all i can see are empty spaces. in the demo link, it is OK – there is no problem. But when i looked in coreyrussell website, i see the problem i mentioned above. could you please check coreyrussell site, and tell me how to fix it. I hadn’t actually noticed that until you pointed it out as I did not wish to use placeholders. I have updated my contact form, however, to show you the only viable solution I could find. It seems as though placeholder isn’t playing nice with textarea in bootstrap 3… so I just put the text I wanted between the tags. Have a long form that I am using your tutorial with. The only issue I am having is posting any checkbox from the form. Select: Dear Tastebuds: You’re Welcome. $email_body =	“Libary Selection: $check n”. This is not my script. I just had some of the same issues that others were having, and was happy to help. As for your issue set the name in the form to check_list and you will be able to access all the checkboxes as an array($_POST[‘check_list’]). Let me know how this works for you, or if something else solves your problem. Thanks for the reply! Not sure why I am having so much problems with this. Form submits but the check_list post is blank. HA! Man I just realized what “This is not my script.” reply was all about. Thanks for reply! Will let you know how it goes. Select: Dear Tastebuds: You're Welcome. And let me know if you figure it out, I don’t have the time to test it right now. Happy it solved part of your problem. without folder and it doesn’t work. 1. Make sure you are testing it from your web server. Do not test it from your desktop as it will not work. 2. As mentioned in previous comments, go to line 26 of the contact_me.js file you have. There you’ll see the url for contact_me.php. Make sure that url is correct. I think by default it is pointing to a folder called bin. Yes, I have the 2 files in the same folder. Try adding “./” before contact_me. My PHP file is in the same directory as the indes.php file and I had to add the dot and forward slash. And you are testing it from a web server? did you try adding “./” before contact_me.php?? Yes, running it fro hosting! An example and does not work. Many thanks for the form. I have installed it and have it working. 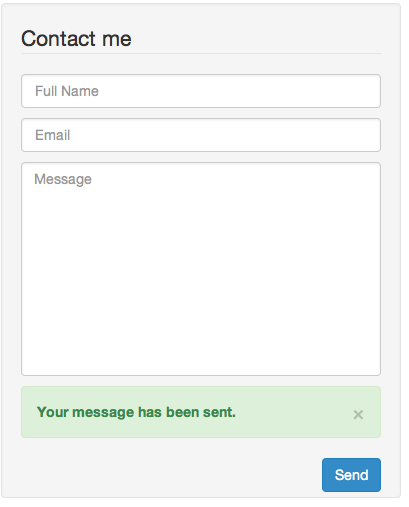 However I would like to be able to send two messages to two different email addresses when the form is submitted. Would I be able to add this to the contact_me.php file and where you create the email body I would create two sections of code, one for $to1 and $to2, $email_subject1 and $email_subject2? Ok Nic. Try using an array and implode it to a comma separated string. I put the php file on the site root folder and playing on the MAMP server on my desktop. ” Your message has been sent. ” That is great! However, when I checked my email, I do not get the message to my email either. I am using 5.3.6 version of php. I have been digging for the answer to this question and found out it might be the problem of MAMP having no mail server. I believe you are right. I didn’t launch my website to a web server yet and I will try to figure it out then. Thank you for your quick reply. ^^ BTW: Do you have recommended web server? Hi, Thanks for the tutorial. Great work! Im running it from a web server (@godaddy) but I don’t get the message “Your message has been sent”. My php skills are very very basic. Most excellent! It’s working fine here! How to redirect the user to a different page after the form is successfully submitted? What and where do I need to change to adapt this to a different framework from Bootstrap (Using Gumby)? Can you help me ? Where am i wrong ? It’s ok ! Some Jquery conflict and IE placeholder hacks. How can you close down this form? What is the data-dismiss=”xxxxxx”? Since mail is sent “server-side” through php script , I don’t think that mailing action is browser-dependant, unless you have some plugin in one of the browser that actually sends an email. thanks so much for the form! I’d like to add two more fields: Business name and phone. I put the input box, but without the right code it doesn’t send it to my email. Could you help me out? I am glad that you like the form. It is great that you are adding fields! Adding fields is not hard at all. I don’t want to give away the whole solution, but I am glad to give you couple of tips. Trust me adding fields is super easy! What’s wrong with french accent ? Hi, it looks bad, encoding problem. I solved it using swiftmailer. Ok I see, thanks for sharing this issue! How would i add ReCapcha to this form? Hey Mav, you would have to find recaptcha implementation (e.g http://www.google.com/recaptcha ) and follow it’s instructions to add it to the form. Im not a 100% where would i put it in your validation? If possible could you do a small tutorial on this? I have a page that has a contact form and a quotes form in it. How can this be implemented with two forms. That’s great man, it saved me a lot of time. Thanks a lot. Just wondered if anyone is aware of any way to hack the validate script so that errors are displayed in bootstrap popovers instead of help-blocks. Due to cross domain issues, I have to iframe this form into a modal and the extra space to accommodate the help-blocks is damn ugly. I realise this is not your script but just checking as I can’t find anything online. However, its saying “Mail Sent, but I don’t get any emails at all. I am glad you liked the post. When I myself try to use PHP mail() function from my local computer, it does not work, because it is not configured to send emails, whereas if I try to upload it to web host – it works perfectly fine. Am using a web host (Hostgator) but I switched to a different host (GoDaddy) and now it gives me the Mail Server error message. Which errors are we talking about ? Hi, I have a little problem, when I send a message (I put mi email on line 17 y 22 contact_me.php), I recive two messages, and It is a bit annoying. Any solution? My form works and sends ok but will not display the success message, any ideas? Hi, everything is working with the form. Thanks for your work. Only one thing I need to do to finish the form and I have have tried everything I know. And I am not say that I know a lot, just enough to get the though. So I would appreciate your help. If you could help it would be much appreciated. Thankyou. Tried to put in the checkbox code but it didn’t accept it. Thanks for the contact form, it works like a charm! I had it up and running in 35 mins. As you mentioned, I had to change the name of the .php file, but that’s it. First off great form, it works really well and it’s great having the fall-back in case the mail server is unavailable. I’m currently trying to extend the form and add a select dropdown but am having trouble getting the value passed through to the contact form. I had a look over the comments here and saw one from Nate which was along similar lines. The dropdown is displaying on the form fine, I have updated the contact_me.php to collect the new post variable (called location) and have updated the contact_me.js to add the new variable after line 19. Using chrome debugging on contact_me.js and some breakpoints I can see name, email and message getting set but the new location variable remains undefined. I’m really not sure what the issue is – although I’m thinking I’ve missed or messed up something in the contact_me.js. Seth, had the same problem yesterday with a select. The problem is use “input#location” in the var area assignment. I waste much time in this problem so i put the solution here! How do i add more space to the button? Thanks for your tutorial. When I follow the tutorial first, I have no problem querying my message to my database. But when I change the form.html to form.php it doesn’t work. It doesn’t even calls the action from ./bin/contact_me.php. what happened? makes it harder for you to go for this ever since this time last year. Ardent bikers mayy bring their riding own bikes. The cyclist increases the distance for the same period. Try to better your time each time you go for a race licence. do you have any clue what could cause this? This has to do with your mail server. Make sure you have your mail server set up properly. You could also try programs such as FakeSMPT that act as Fake Mail Sever, in order to see if email are coming through. If they are, you will need to set a real mail server. meaning the issue is not from the mail server nor the PHP mail function not working. I’m with justhost and I found something about making sure the E-mail goes to an adresss at the same URL, which I am now testing with but still can’t get it to work. Any ideas? I had the same issue – commenting out the server-side validation seems to work for me. I don’t know php, so I have no idea what part of this isn’t working – any suggestions? Same problem over here.. Everything looks fine, but no mails are coming true. I’m not that into mailservers etc.. How to fix it? How can i put in to Modal ? Can anyone help me with this ? what does the control-group and controls classes do and have checked the bootstrap and bootstrap validation documents and can find nothing on them. Why do you not exchange the “sending, please wait” whit “message sent” ??? Thank you for this great and simple contact form! i have one question: how to prevent double submit? Hi, have you may use this form Php Mailer? Really nice script! The only thing i am trying to find out is how to push an telephone number trough the digital line…. But i really dont know any PHP. So how can i load extra lines of information in to the e-mail? Do i refer to the code in JS (‘ telnr’) ? What does the n means or what does it do? basically using it inside your everyday lives. Hello, How i can set up this contanct form to answer to the my client e-mail? Now when i click “Reply” on gmail its going to reply to “myhostinglogin@MYSERVER.COM. In details i have client e-mail, how i can put it to reply input? I’ve tried but it always fails is there a way? Is it possible that the contactform does’ not run without adding “jQuery lib” in the section. Because when i put it in the bottom of my html (for faster loading purposes) it won’t work. Perhaps i am skipping something? Great form. I searched the web for quite some hours to get a real working form with bootstrap! Thanks for sharing this! Thank you very much for this! New to PHP so this is great! I’ve used it on a site for a client and it’s working. However, I’ve tried using the same files to add a registration form to the same site, but on a different page. I’ve changed the file names to register_me.php and register_me.js and have pointed to the register_me.php in the js file but can’t get this new registration form to work. I also added some fields and modified the php file to include them <– could that be the issue as to why it's not sending? Thank you so much, and let me know how can i pay you back? I really love this but I can’t make select dropdown works. I need help, please. Final thing, resetting the subject field after submit will be my next question. The big problem I have is the form validation happening as soon as the user starts to type. 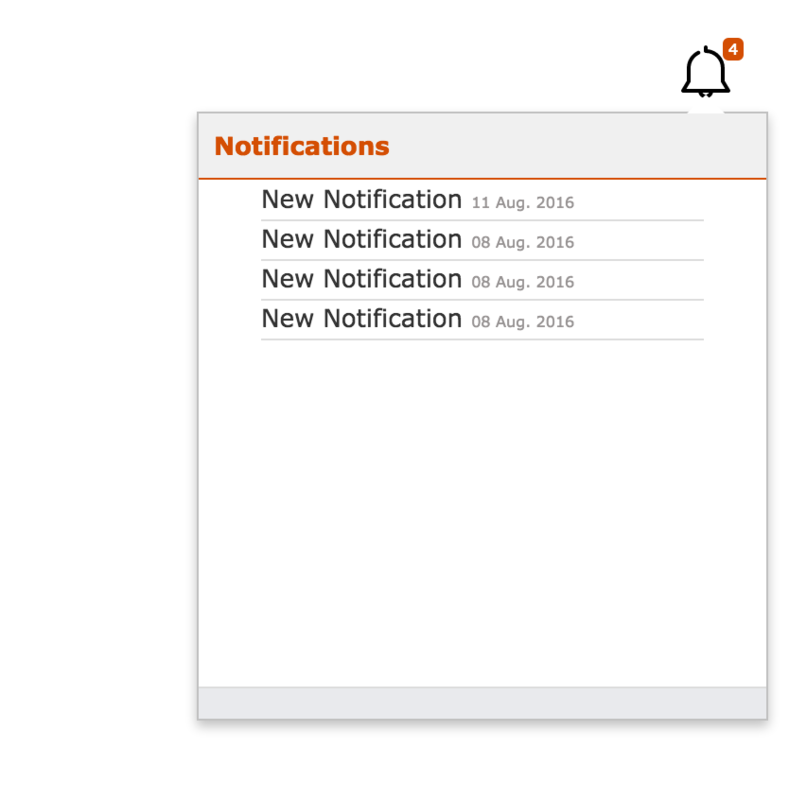 This is obviously bad user experience especially for the email field. The user is getting an error as soon as they type the first letter. Can anyone tell me how to wait until the user has finished entering the full email address before the validation is performed? Thanks for the tutorial, you make me save a lot of time!! Cheers!! Hi, I want to add one more form to same page with in a modal but I face with a problem that is not working js and .php file I think. Can I specify the div that contains form to seperate the js files? hey. great form. I’m trying to add checkboxes though – and can’t work out how to get them working. Any help greatly appreciated! How would you make an input item optional? I’ve tried everything I can to get the phone item optional, but either it still tries to validate, or it says message successfully sent, but no message is actually sent. works perfectly in it’s original state. I don’t understand, mail was sent but I never receive it. Go see my website please, I worked on since so long time. Hi there! Loved the contact form, I’ve got it working just fine. I’m curious about one thing you might be able to point me in the right direction; what if I need to show the validation messages in other languages? Do you know if there’s a jqboostrapvalidation.js in Spanish, for instance? Changing that will be enough, or should I also need to replace other files? Hi there. For some reason, after I submit the form successfully the fields do not clear. How do I fix this? Hi. It works for me, but I have a another problem. My website has 4 pages (home,about me,gallery and contact). After I installed this form contact in page contact, I can not go back to other pages. Meaning when I am in the page contact.html I can’t access the orher pages or external links. I think that problem is from jquery, but I can’t solved it. Will show no error on client side, but will show message that email is send. Also not working mail() function (for example: Failed to connect to mailserver) didnt show error. It works when everything goes OK but when something goes wrong still shows ’email sent message’. Very confusing. But how can i use it with an file upload input ? This is what I am looking for but also without any clue. Anyone can help? just wondering what $headers = “From: contacts@myprogrammingblog.comn“; in the php file is and if i should change it to my email address? i recieved the mail but it states me the error message though the mail is recieved, what is the reason for this..?? January 10, 2016 at 12:16 pm” points out, there is a success message even when the message is not sent. This is confusing. Where might one try to fix this? Success message is based on validation. Current implementation assumes (for simplicity reasons) that your server will take care of sending email. If you want to make sure that success message will only be triggered if email is delivered, it would make sense to wait for an ajax response from the PHP server, and then set it to success. Does that makes sense ? What exactly do you think is wrong in line 26 ? Would love to help! In my form I want to use select element can U guide me how to use it and which things I have to add in code of jqBootstrapValidation file. or is it possible.? Would have been great to see this tutorial expanded to include radio buttons, checkboxes, dropdown menus and security measures that can be integrated into the Bootstrap, php and js that we already have. I’ve looked everywhere to no avail. Hey Remmy, Thanks for this comment. If you need a custom work on this form, I would love to provide this service for you! When i click the submit button it send me back to my home screen. I copied all the code and updated my the area to my email address. What else was i suppose to do? I’m using bootstrap, npm, and installed the php-npm in my app. Hosted on firebase. If i want the message to be sent to my google account instead, what do i do? Thanks! You did again a great work for the society! I check many of your great tips and codes. If I want the whole div container at a specific size, what to do?